Entrepreneur Scan exists almost 20 years. Started in the last millennium. Basically it’s a spin-off of the thesis of founder Martijn Driessen. From early age on he knew he wanted to become an entrepreneur. However, he never thought he would start something with software. He saw an opportunity that he wanted to exploit and wanted to help entrepreneurs to become even better. With a successful start: he became ”Starter of the Year 1997”. In 2001, we stopped sending floppy disks. Even though we had a big deal with ING Bank, it was still a big challenge. We switched completely to an online application. What a relief. What began as just a thesis to be able to graduate, like so many, turned into an extensive and ongoing research. A major milestone was the PhD thesis that appeared in 2005 on the assessment and development of entrepreneurial competences; E-Scan. See below for all our publications. On the basis of this PhD thesis a popular book was published: De ondernemende ondernemer of which already more than 63,000 hard copies are sold. This book is now translated in english and published as an eBook; The Golden Egg, an entrepreneurial approach on how to become a successful entrepreneur. In 2009 we welcomed our first partner in the UK. We have trained and prepared them to conquer the UK market with our products and services. Meanwhile, we welcomed even more partners, in countries as Belgium, USA, Finland and South Africa. Entrepreneurship is seeing opportunities, seize opportunities and create value. And this happens all over the world. 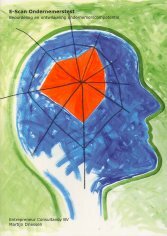 However we still see that there’s a lot to be done in the personal development of the business owner. Precisely in this field, we are convinced that we can add a lot of knowledge and value. 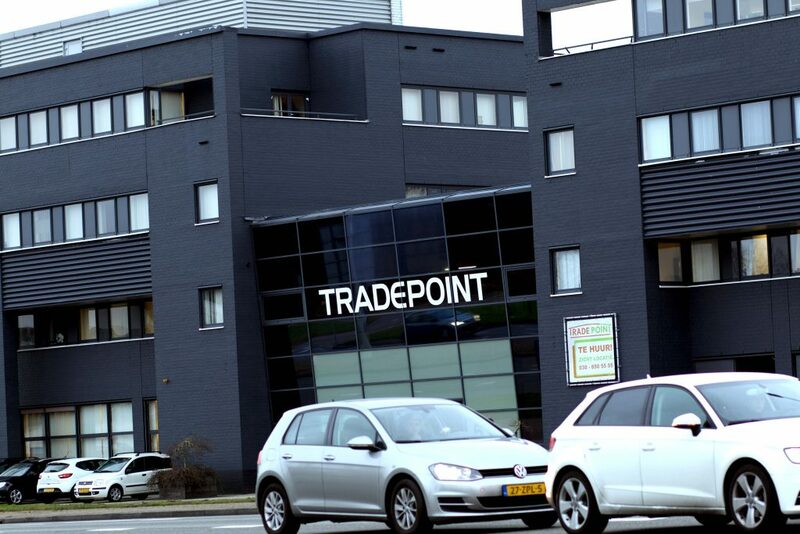 In 2016, we have a new office in Utrecht, close to Amsterdam. Furthermore, we have new staff and together we are working hard to build a new fully responsive E-Scan. What an incredibly beautiful job it is. We are very proud of the (first) results. In addition, we are increasingly asked to train trainers on how to develop entrepreneurship amongst others. Driessen, M. (2010). De ondernemende ondernemer. Leer jezelf ontwikkelen tot een entrepreneur. Utrecht: Entrepreneur Consultancy bv (10e druk). Lex van Teeffelen, Edwin Weesie, Lorraine Uhlaner (2014) Altering student preferences toward takeover entrepreneurship: Action research study based on threshold theory International Journal of Entrepreneurship and Small Business 23: 4. 568-586. Lex van Teeffelen, Lorraine Uhlaner, Martijn Driessen (2011) The Importance of Specific Human Capital, Planning and Familiarity in Dutch Small Firm Ownership Transfers: a Seller’s Perspective International Journal of Entrepreneurship and Small Business 14: 1. 127-148. Oosterbeek, H., Van Praag, M., IJsselstein, A. (2010) The impact of entrepreneurship education on entrepreneurship competencies and intentions: An evaluation of the Junior Achievement Student Mini-Company Program European Economic Review 54(3): 442-454. Smit, Eelco (2012) Boek voor Mannen. Heb het lef om echte keuzes te maken. Amsterdam, Inzicht Actie Oogsten Media. Vesterink, L. (2008) Ondernemen moet je doen. Amersfoort, Deviant. Lex van Teeffelen, Martijn Driessen (2007) Transfer Success in SMEs: Are entrepreneurial characteristics of importance? In: RENT XXI Conference, November 2007, Cardiff, UK Edited by:European Council of Small Business. Driessen, M.P. and Zwart. P.S. 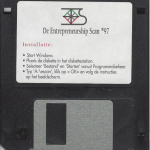 (1999), The role of the entrepreneur in small business success: the Entrepreneurship Scan. In: ICSB Conference June 1999, Napels, Italy Edited by:European Council of Small Business. Smit, J. (2017) Het geheim van de Entrepreneur. HP/De Tijd, nr. 4, 47-50. Westwood, R. (2017) The Traits Entrepreneurs Need To Succeed. Forbes / Entrepreneurs. Spoelstra, E. (2016) Wat voor ondernemer bent u? Bovag Krant. Juli. Jongsma, S. (2016) Doen. Tijdschrift Complement. April. Van Triet, L. (2014) Het starten van een eigen bedrijf. E-Scan Ondernemerstest. Estheticienne 2014-2. Oosthoek, E. (2014) Je vindt het pas als het moeilijk wordt. Interview met Dr. Martijn Driessen, Loopbaanvisie: 2014-1. Hurenkamp, H (2012) Orde scheppen in de wirwar. Ondernemen! Opinieblad van MKB Nederland. Jaargang 18, 1. 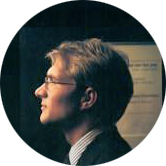 Dr. Martijn Driessen (2011) Hoe beoordeel je ondernemerschap? Tijdschrift voor Schuldsanering, nr. 1, februari 2011. Driessen, M. (2010) Subtiliteiten in het ondernemerschap. Notariaat Magazine 2010-9.